A better way to team up with this figure-flattering coat might be a mini dress and ankle boots. On this chilly Saturday, when kids' activities are scheduled all day long, I let the winter stand in the way of style. The YSL Cabas Chyc picked by my dear friend Alexa can pretty much mix and match every outfit. It is casual and effortless. There are two pieces I am interested in: Burberry peplum jacket (Wendy wears here) and Isabel Marant wedge sneakers. How do you like the look below? 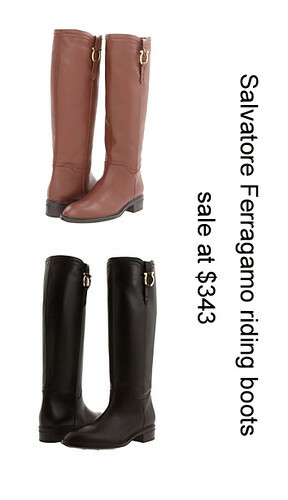 My favorite riding boots by Salvatore Ferragamo are on sale at Zappos for $343 (here). If you are interested in them, you may want to consider half size down (I wear 7B of this pair, rather than my normal shoe size 7.5B). Hi Michelle, love your outfit and the color and size of the YSL bag! Yuan has such good eyes! I tried this burberry downcoat at SAKS around the holiday time but there was no sale on this item. Did you buy it on sale? I also liked this burberry jacket when I read wendy's post last week. Lin, I got it at Bloomingdale's, after Christmas sale. 40% off regular price. It has become my everyday outfit now. BTW, does the grey one of DL1961 fit? I am so curious to know! Hi Michelle, you look great with this outfit. I like the Burberry peplum jacket too, kept thinking about it after Wendy showed in her blog. 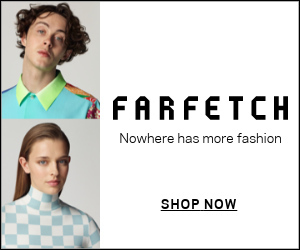 Did you tried, it look very good on Wendy but doesn't very attractive on SAKS model, honestly. And I have a question on the DL1961 jeans, does it run true to size, I usually wear one size up for skinny jeans except for 7FAM, not sure about this one. Thanks, enjoy Sunday evening. This is Alexa. I tried the peplum jacket in NM another day. It is chic and feminine. Will look great with skinny jeans / pants. There is one issue I want to point out that the sleeves wrinkle horribly after being pulled up for couple minutes. Is this jacket worth $650? -- I doubt. Based on my own experience, the denim one is true to size, which I ordered from amazon. However, the solid color ones are not very consistent. One pair (cateye color) run small and another pair (opal) run large. Is the downcoat true to size? I did not find any M size in my local Nordstrom store, wonder which size I'd better try. I would say it is true to size. I wear US size 6 for Burberry wool trench coat. For this down coat, both S and M are ok for me. Alexa suggested me to go with S to have a fit look. My sister suggested me to go with M in case I wear thick sweaters. Finally I chose S. :-). Michelle, I was not informed... My honor!! !